There’s something so sentimental about mehendi in India. Don’t you think it is irresistibly romantic when the mehendi artist writes, actually hides the groom's name in the intricate pattern of leaves, vines and flowers that are being drawn on the bride's hands? 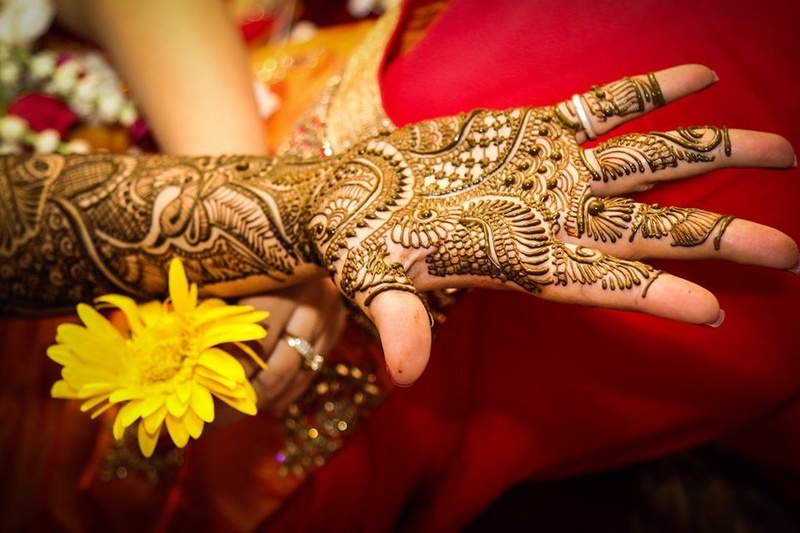 The mehendi on a bride’s hand is symbolic of the love she will get from her husband and in-laws. A mehendi ceremony in India is one of the most celebrated pre-wedding functions. Movies too have had their fair share of contribution in making the mehendi ceremony a celebrated affair with elaborate mehendi songs. Songs like ‘mehendi laga ke rakhna’ from the famous DDLJ or ‘mehendi hai rachne wali’ from Zubeida still engulf us into the magic of traditions. The mehendi artist you hire for your wedding can make or break your overall mehendi design. So, here are a few things every bride should know before hiring a bridal mehendi artist. It’s always best to keep yourself informed about the different types of mehendi designs available in the market. This makes it easy to pick the one style that you like and will suit you. Along with all of it, make sure it suits your budget. Every mehendi artist has his / her unique style and is an expert at creating and innovating designs around it. In case you have certain preference like a traditional, beautiful Rajasthani mehendi or a fun Arabic design, you will have to make sure that you select a mehendi artist who specializes in that form. You need to make sure that the artist you hire is the best at what he does and there is no better way to confirm that than by asking him for a couple of references. Taking a look at their previous work would give you a clear perspective and help you decide. After going through their work, you’ll know if your search ends with this artist. It might sound a little weird and you may ask why a written document for a mehendi artist, but it’s important if at all they back out at the last minute. The terms and conditions that you both mutually agree upon should be clearly stated in the document. If he/she is not ready to give it to you in written, you should probably reconsider your choice. This is especially true for a long guest list where keeping a track of things becomes difficult. Paying the deposit is a great way to book the artist exclusively for a particular time slot. The mehendi artist gets an assurance in the form of a deposit that you won’t cancel at the last minute. Read the confirmation document carefully, as a lot of times it states that you‘ll get the deposit back if you cancel for some reasons. Confirm with your mehendi artist if they are sure about the mehendi getting a dark colour. Also, check if the ingredients are all natural or it will not harm your skin in any way. It is crucial for every bride-to-be to choose her mehendi artist wisely. So, keep these points in mind and make sure you hire an artist who gives you the best.